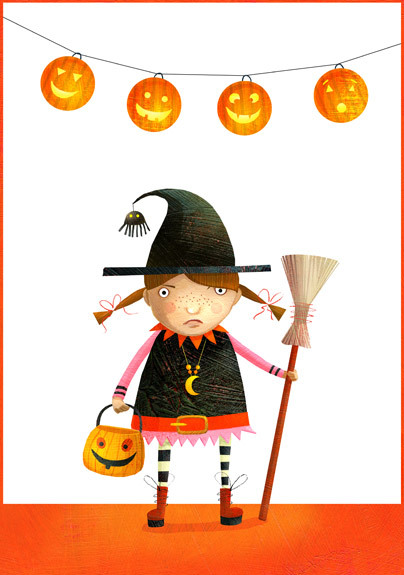 This nasty little “rhymes with witch” is coming to steal your candy. So watch out! Boo! To awaken quite alone in a strange town…. “To awaken quite alone in a strange town is one of the pleasantest sensations in the world.” I love this quote from Freya Stark, fascinating early 20th century explorer and travel writer. She was one of the first non-Arabians to travel through the Arabian deserts; just bought her biography (Passionate Nomad) for my Kobo reader and am stoked to follow all her crazy adventures. And what better place to wake up than in a sweet vintage trailer? Giclee print of this illustration (acrylic/digital collage) can be had for merely $19 in my Etsy shop.